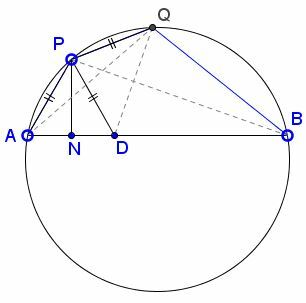 Let P be any point on a segment of a circle whose base is AB, and let PN be perpendicular to AB. Take D on AB so that AN = ND. 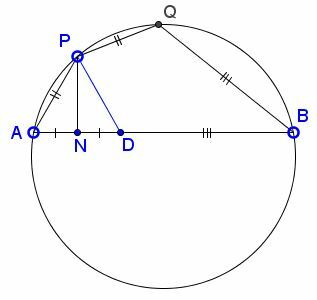 If now PQ be an arc equal to the arc PA, and BQ be joined, then BQ, BD shall be equal. Join PA, PQ, PD, DQ. Therefore PQ = PD and ∠PQD = ∠PDQ.